English MC Jammer takes a tumble at event in London. English grime MC Jammer was pushed over by an Ian Wright lookalike while performing on stage at an event in London on Friday night. 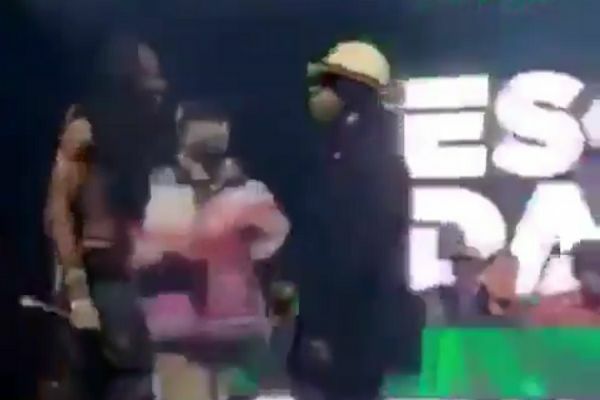 Footage was shared on social media of the ‘Boy Better Know’ member being shoved while jumping around in front of fans at Printworks in Surrey Quays. The man doing the pushing appeared to be an Ian Wright lookalike, wearing a similar hat to those often seen on the head of the Match of the Day pundit. Witnesses were soon questioning why the former Arsenal player would have pushed the rapper. Ian Wright was forced to deny being 36-year-old Jammer’s assailant, claiming he hadn’t even attended the ‘Eskimo Dance’ club night. Recent videos have gone on to attribute the attack to Mac from ‘So Solid Crew’.